If you think that your child is not developing at the same pace or in the same way as most children his or her age, it is often a good idea to talk first to a specialist. Explain your concerns. Tell the specialist what you have observed with your child. Your child may have a developmental delay, or he or she may be at risk of having a delay. 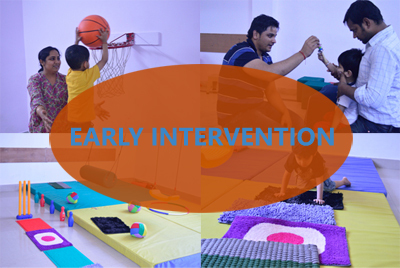 Early Intervention services include therapy from disciplines like occupational therapy, physiotherapy, speech & language therapy, psychology and special education. The therapies will be tailored to meet the child’s individual needs.